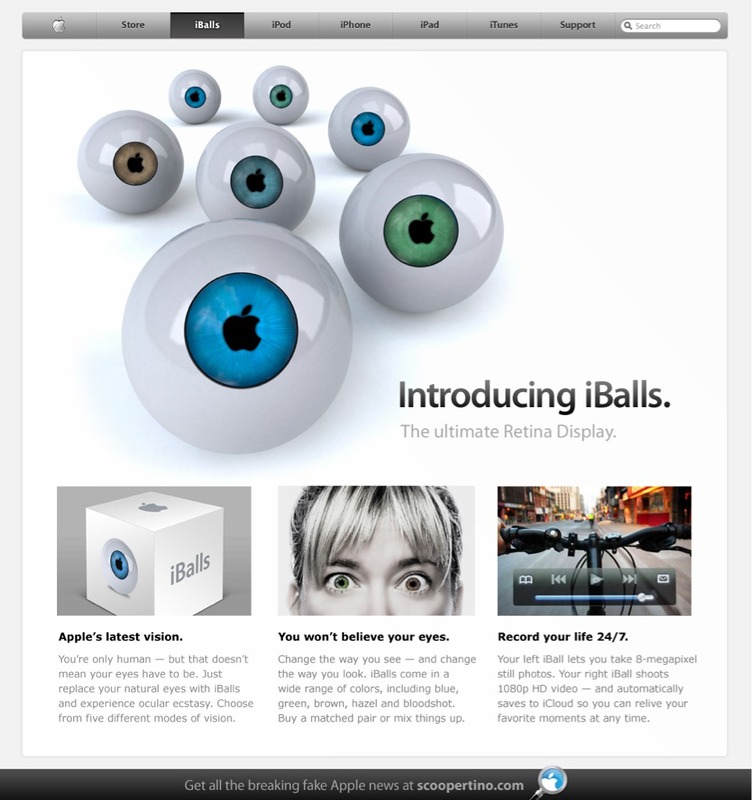 Scoopertino humorously reports on Apple's latest product 'iBalls', the ultimate Retina Display. With its new iBalls technology, Apple has created superior eyes. Once installed, iBalls allow you to choose between five different modes of vision: normal, microscope, telescope, wide-angle and sepia. Even better, iBalls allow you to take 8-megapixel still photos with one eye, 3D photos using two eyes, and upload a 24/7* video record of your life to iCloud in glorious 1080p.